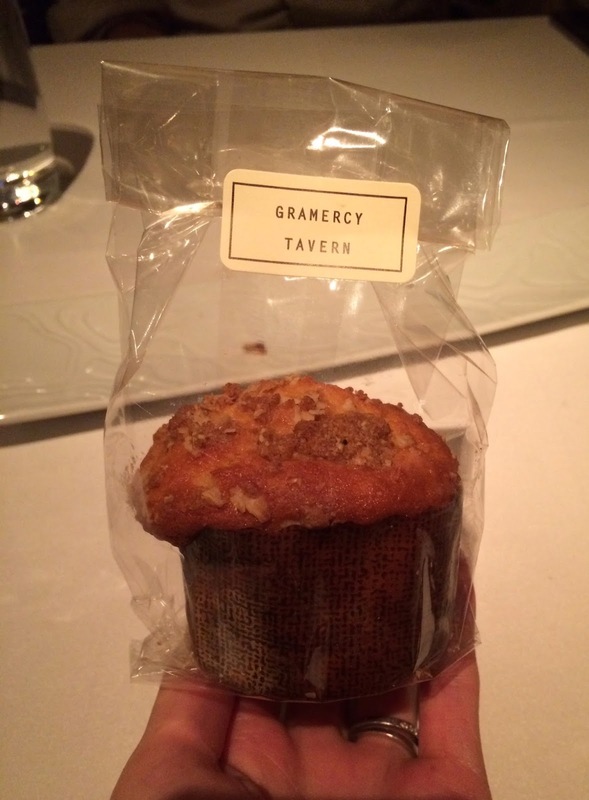 Yesterday, we wen to Gramercy Tavern and after dinner, they gave us 2 muffins for breakfast. 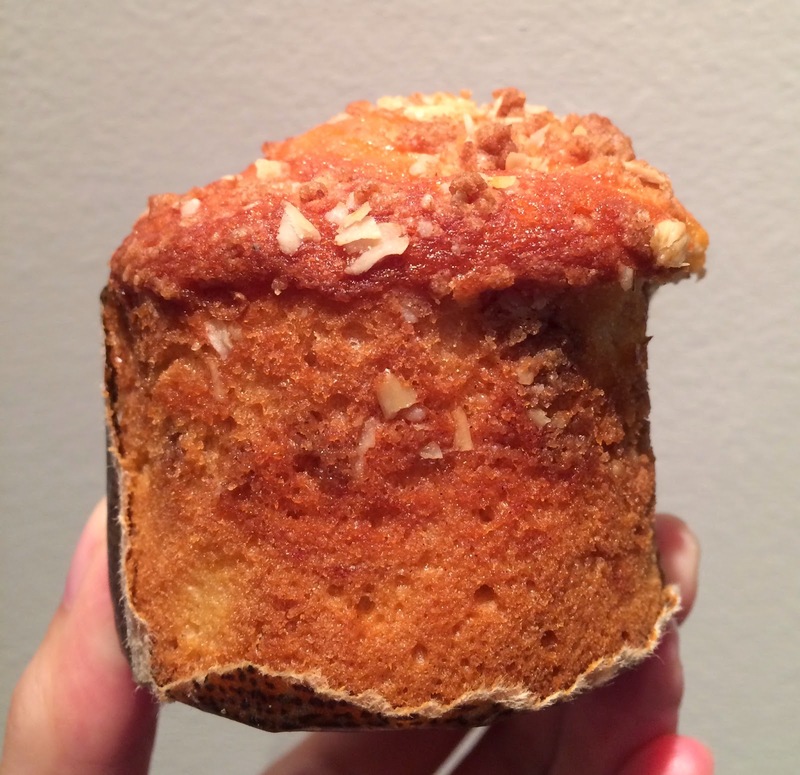 On the top, there're some brown sugar chunks and sliced almonds or oats (or both?). It had a very delicate cinnamon scent. The outside was golden brown, but not dried and still moist and shiny. 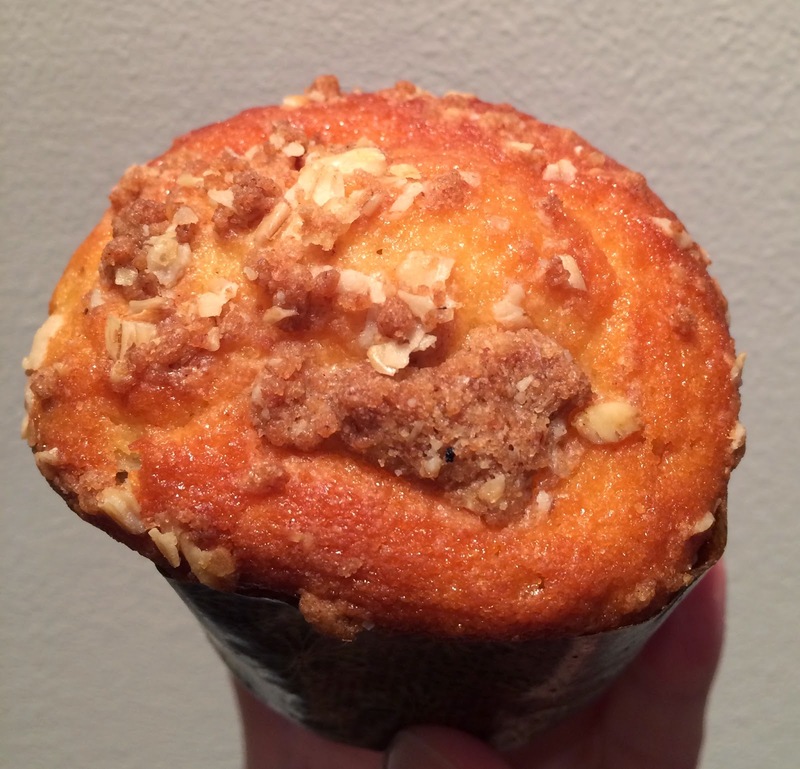 The outside had subtle firmness and the nuts or oats on the top was crispy and popping. It had fluffy and chewy texture like oven fresh bread. 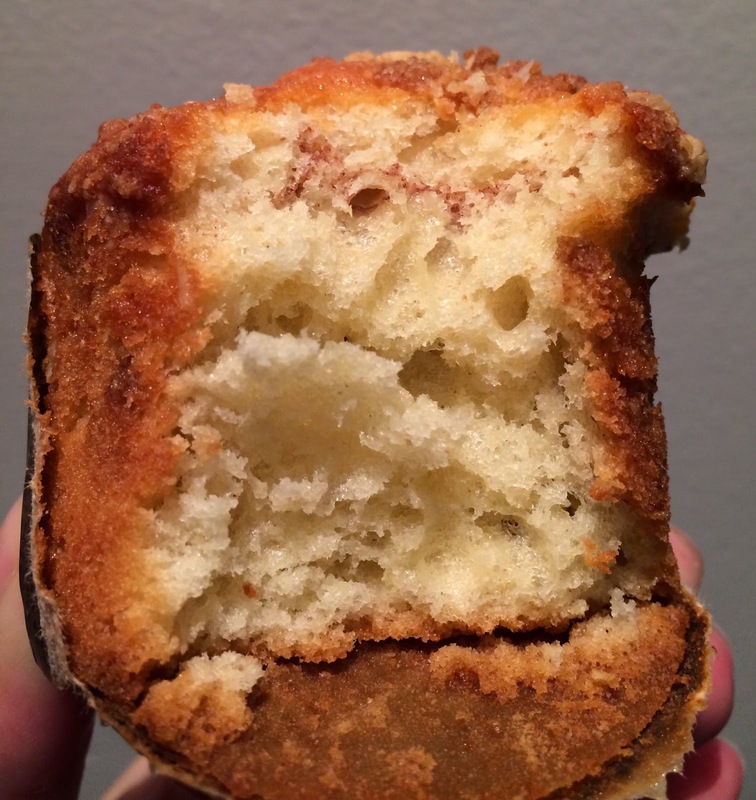 I saw some cinnamon sugar swirl in the dough, and as it smelled, it didn't have too strong cinnamon flavor so that I truly enjoyed this muffin.